Yes! It's that time of year again when the snow melts away and the green grass takes over... Why not treat your pet with a new Smart Pet Bed this spring. 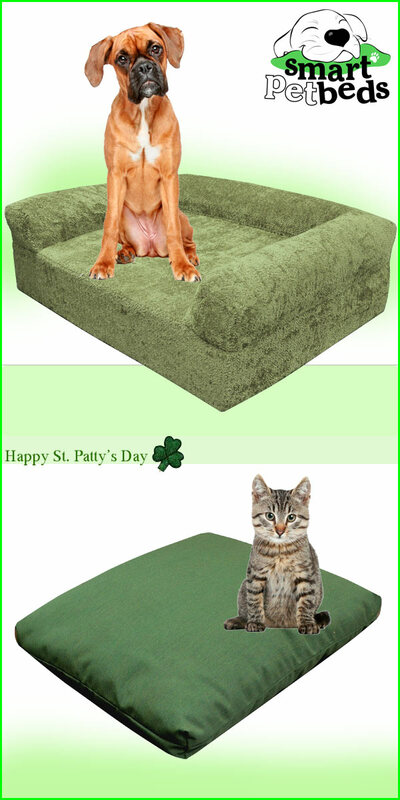 Currently we have a 15% off sale on selected beds in various colors. We offer orthopedic dog beds in supreme and executive, royal down & feather filled beds, standard fiber filled beds, waterproof protective liners, and more. All of our Smart Pet Beds are covered with high performance fabrics that are made with Sunbrella fabrics. They are rated for five years against UV fading indoors or outdoors, they are bleach tolerant, stain resistant, mildew resistant, hypo allergenic and machine wash and dryable. You and your pet will both be happy =) !!! !